At our newest Herndon Community you can take the “climb” out of climb into bed. At Shaker Knolls, our just-opened luxury home community on Shaker Woods Rd. (between Leesburg Pike and Wiehle Ave.), home buyers are able to choose whether they want their owner’s suite on the main level (Pinehurst model) or the 2nd level (Lancaster and Oakton models). What’s more, we’re introducing a main level in-law suite option to our GALA, award-winning Lancaster model. 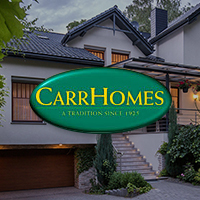 So now, whatever your life stage, or life style, there is a CarrHomes design to enhance the way you live, especially if you don’t want to “climb” into bed.